Herzlich Willkommen und Kia Ora bei German in Aotearoa New Zealand! Are you interested in German or Germany in a Kiwi context? This website tells you how and where in New Zealand you can connect with German and Germany. We point you to German clubs, language classes, schools and universities that offer German, as well as opportunities for exchange, study and research in Germany. By becoming a member, you help us support the teaching and learning of German in Aotearoa New Zealand. As GANZ members, registered language teachers at schools obtain access to teaching resources. Click on contacts tab to find your regional contacts. 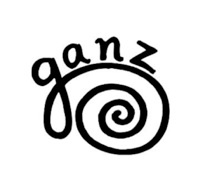 To join GANZ, please fill out our online membership form. To renew your annual membership, please deposit NZ$ 20 into the GANZ account (06 0909 0225199 00, add your name as a “reference” and region as a “code”).